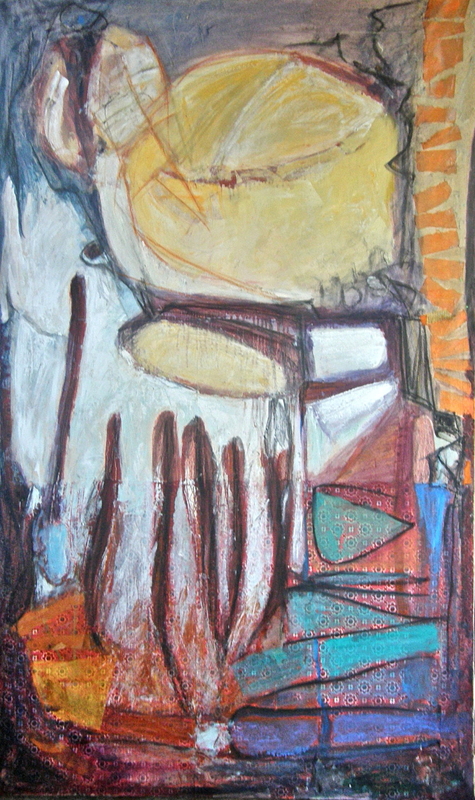 Abstract composition with collage and oils. Large active forms speak in tongues. Antique canvas and wall paper.